Despite living in Los Angeles for 18 years, I only started to explore American national parks during the last 4-5 years before leaving to travel the world. After seeing how beautiful these parks are, I felt that I should have made more of an effort to visit them in the past. 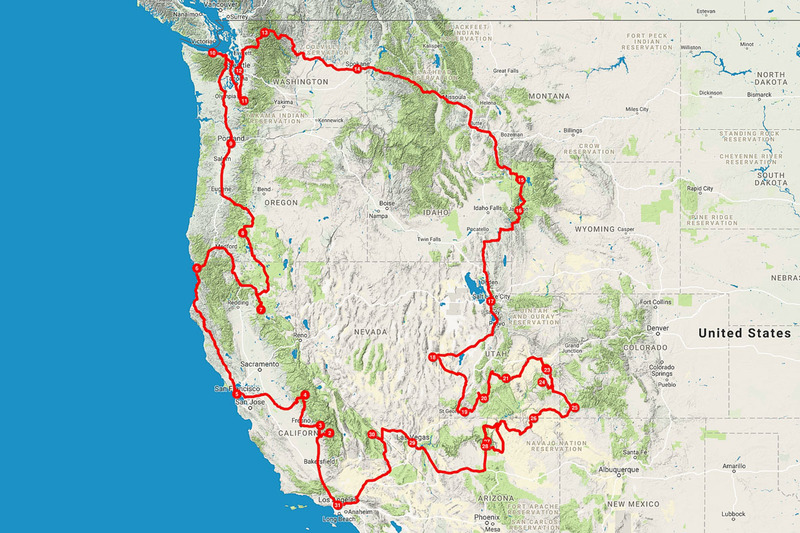 So after two years of traveling overseas, I started thinking about doing a long road trip in the the western US. This was also a great way to introduce the country to Jenni, who did this road trip with me. I had only been to 8 of them prior to this trip, so lots of new places to discover. It would also be my first time to the states of Montana, Wyoming, and Colorado. 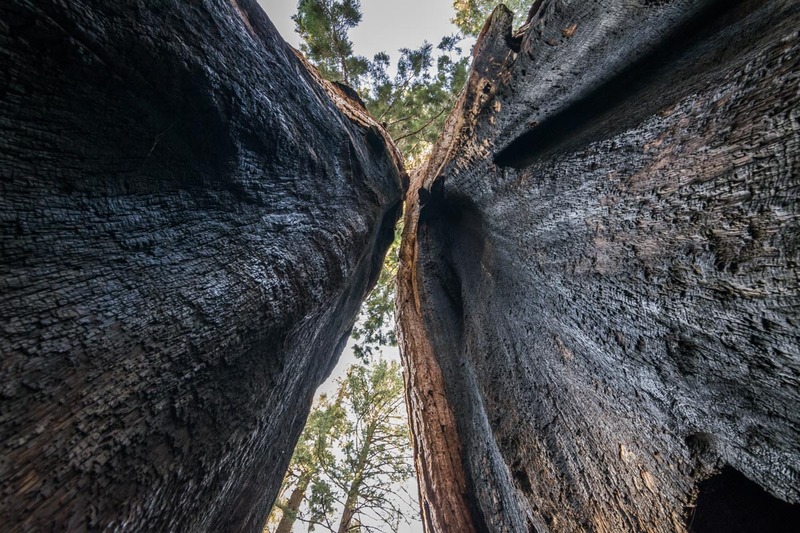 We ended up going to 20 of the originally planned 23 national parks. Aside with coming up with the above list and booking our first night’s campsite at Sequoia, I did no other advance research. I dislike reading guidebooks and planning too much in advance. I had to buy a few things since all of my old gear was ultralight and for 1-person. I bought a new 2-person Big Agnes Copper Spur UL2 tent. For cooking I got a Coleman Dual Fuel 533 stove, which I prefered because of its refillable fuel tank (instead of using disposable propane canisters). I also bought some lightweight cooking pans, pots, and utensils. Thinking that we might do a few backcountry overnight hikes, I got a BearVault BV500 bear canister. We only ended up using it for a 1-night beach camping trip in Olympic NP. Aside from that we simply used it for food storage in the car. I decided on the guidebook Your Guide to the National Parks: The Complete Guide to all 59 National Parks . I used my 8-year old Montbell sleeping bag (rated 32°F/0°C) which ended up being not warm enough on certain nights. After using it for around 100 nights in the past, I think it is worn down now and has lost some of its warmth. On very cold nights, I was glad we also brought a regular blanket, which we used on top of our sleeping bags. As for pillows, we just took a pair of big ones from home. 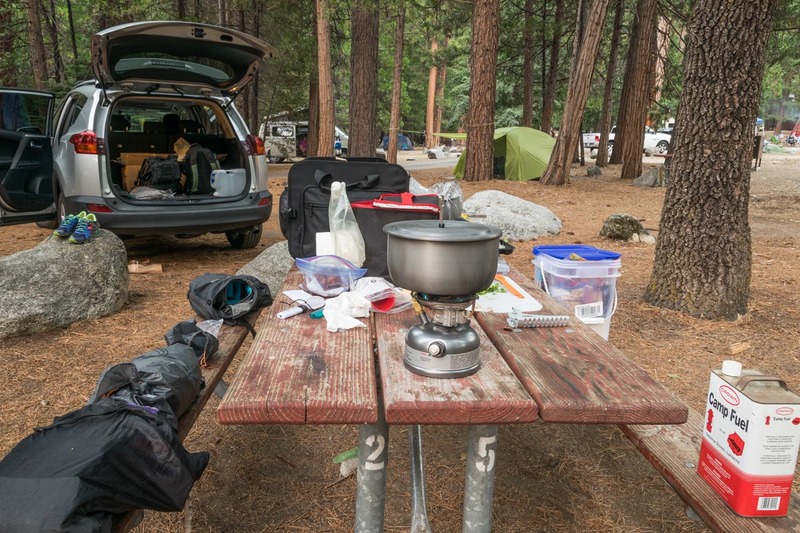 That’s the luxury of car camping, you don’t have to worry about size and weight too much. On such a long trip, we appreciated having a regular sized pillow. My friend Phillip lent me a bear pepper spray (which thankfully I didn’t have to use), and a power inverter for the car, which came in very handy for charging my laptop and camera batteries while driving. Aside from the above, I took my usual hiking gear: rain jacket, synthetic mid-weight jacket, merino wool base layers, regular t-shirts, 2 pairs of hiking pants, trail running shoes, and hiking poles. With entrance fees of up to $30 for a single national park, it made sense to get the National Parks Annual Pass for $80. It can be shared between two people (only one pass needed per car), so I split the $80 with Phillip. The total cost of going into all the parks during this road trip was only $40. Going back to the US, I still had my old trusted Scion TC at my parents place. It’s not the biggest car but I thought it would be sufficient, but my parents insisted that we take their Toyota Rav4. After refusing their offer a few times, I finally accepted it. It ended up making our trip a lot more comfortable, especially on the nights we chose to sleep inside the car. I had no idea how much a trip like this would cost. Our plan was to spend somewhere between $60 to $80 a day for the two of us. This would include everything such as camping fees, food, and gas for the car. You can check out this road trips summary post (coming soon) to see how much we ended up spending. Hi! 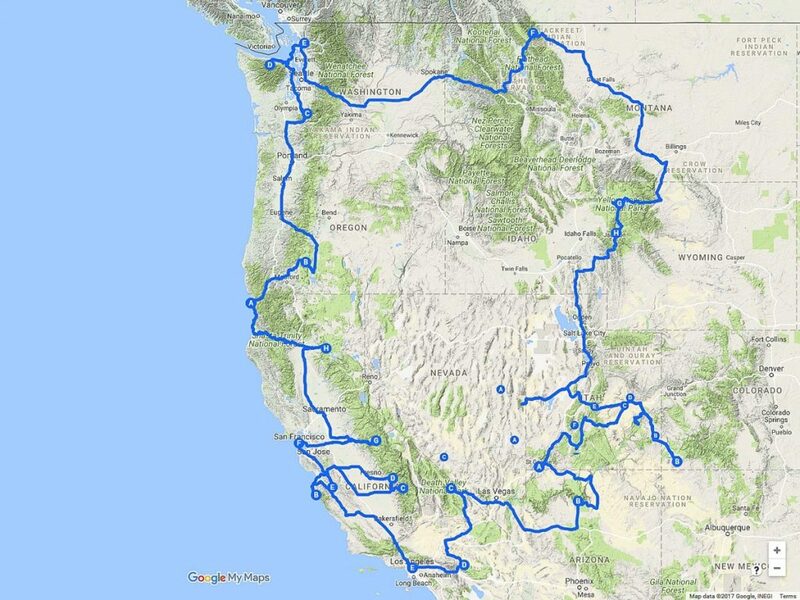 Thank you for your postings, I am currently looking into doing a road trip with almost the exact route as yours this summer after I graduate. I hope you keep updating and I’m really interested to see how much everything cost and how your camping arrangements turned out. Hi Hannah. There’ll be lots of posts coming up in the next few weeks. I hope your plans go through and you ended up doing this amazing trip.